This has been amazing 10 days for the New Mozart students who were selected to participate in the prestigious European youth orchestra program, CHMYO (Cambridge-Heidelberg-Montpellier-Youth-Orchestra). 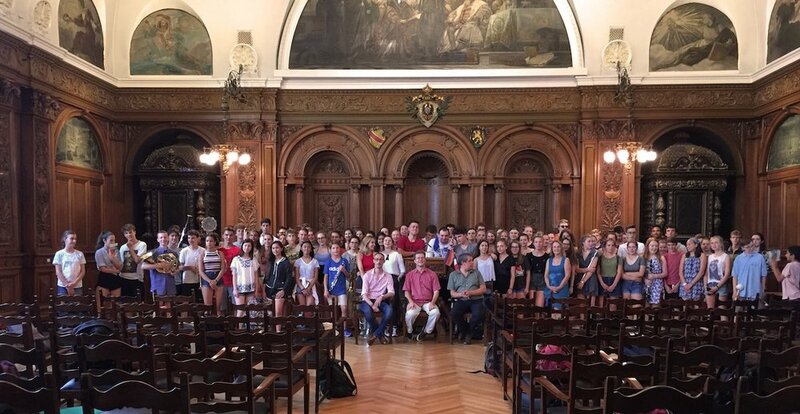 Allyson Dinh (cello), Roshelle Bunuan (violin), and Sheel Pant (violin) along with 90 other talented young musicians from Cambridge, Heidelberg, and Montpellier practiced and rehearsed 6-7 hours daily. This intense but friendly and supportive environment allowed the young musicians to discover, learn, and achieve exponential musical growth. The afternoon-evening schedule was also packed with sightseeing and other fun activities. We have returned home having made lifelong friends. 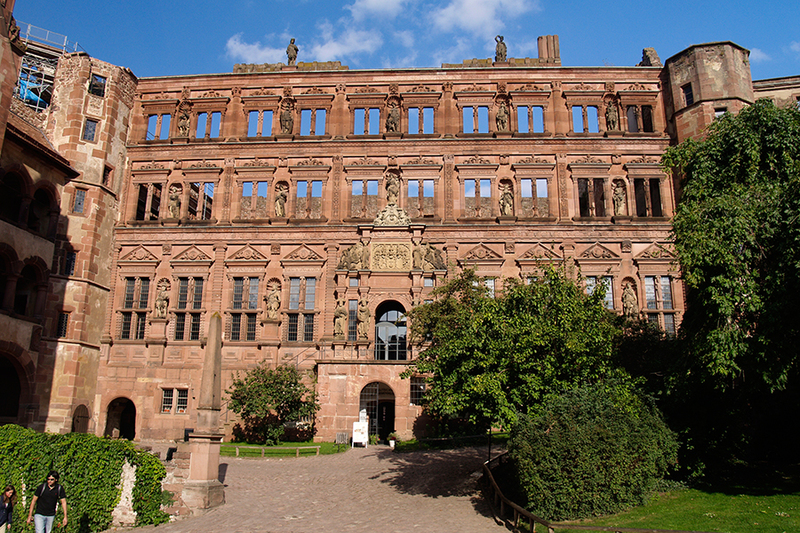 Though we were from 4 different countries and spoke 3 different languages, we connected and communicated with the language of music and the resulting final concert at the beautiful Heidelberg Castle was absolutely magical. We were in awe witnessing what talented young musicians can accomplish in 10 days of exceptional music making. CHMYO conductors Georg Schmidt-Thomée (Heidelberg) Matthew Gunn (Cambridge) and Olivier Vaissette (Montpellier) led the orchestra in 2.5 hour concert on August 4th - showcasing demanding repertoire of Saint-Saens, Strauss, Mendelssohn, Kern, Wagner, Skriabin, Schumann, Liszt, Weber, and Brahms. We want to express our heartfelt thanks to the city of Heidelberg and our home city of Palo Alto, the CHMYO conductors, host families, and all the staff members and volunteers from Heidelberg, Cambridge, Montpellier, and Palo Alto who made this possible. Special thanks to Neighbors Abroad for administering this program to celebrate the commencement of the sister city relationship between Palo Alto and Heidelberg. We greatly appreciate the help of Bob Wenzlau, president of Neighbors Abroad, and his Heidelberg-Team for making this trip possible.